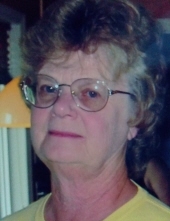 ANNA MAE NESTOR DUGGAN, age 80 years, a native of Elkins, WV, a former resident of Damascus, Md. and Mercersburg, Pa. and a resident of Aiken, SC., departed this life early Saturday morning, November 17, 2018 at Pruitt Health-Aiken at Aiken, SC. She had been in declining health. She was born Tuesday, November 1, 1938, a daughter of the late Hugh Myers and Eva Harris Nestor and her step-Mother the late Dorothea VanDevander Nestor. On November 15, 1958, she was married to Harry L. Duggan, Jr., who survives. They had celebrated sixty years of marriage. Also surviving are two sons, Bradley T. Duggan and wife Jane of Aiken, SC. and Jeffrey B. Duggan and wife Darlene of Mt. Dora, Fla.; two sisters, Dama Nestor of Elkins and Julia Riggleman and husband Bob of Lewisburg, WV; her sisters-in-law and brother-in-law, Pat Nestor of Elkins and Edsel V. Gordon and wife Carolyn of Kingsland, GA; three grandchildren, Sarah Isles and husband Martin, Matthew T. Duggan and wife Emily and Alicia A. Wilhide and husband Chris; six great-grandchildren, Maci, Hunter, Madison, Austin, Alexis and Wyatt; extended family, Rob Nestor, Susie Wagoner, Lorrayne Corley and Dee White and their family. She was the last surviving member of her immediate family having been preceded in death by one brother, Wilson Grant “Shorty” Nestor. She was a graduate of Elkins High School and all of her adult life, she worked in the medical profession. Anna was totally dedicated to her family. The family will receive friends at the Lohr & Barb Funeral Home of Elkins on Friday from 4 to 7 PM. Final rites will be conducted at the funeral home on Saturday, November 24, 2018 at 11 AM. The Reverend Dr. Basil A. Hensley will officiate and interment will follow at the Elkins Memorial Gardens at Elkins, WV. To send flowers or a remembrance gift to the family of Anna Mae Duggan, please visit our Tribute Store. "Email Address" would like to share the life celebration of Anna Mae Duggan. Click on the "link" to go to share a favorite memory or leave a condolence message for the family.